The struggle to save Ecuador’s fragile Amazonian Yasuni-ITT preserve (situated in a UNESCO Biosphere Preserve) from oil drilling has met with some recent successes. President Rafael Correa’s innovative “crowdfunded” Yasuni-ITT Trust Fund initiative aims to raise USD 3.6 billion from contributors around the globe over the next twelve years. Correa argues that since people everywhere will benefit from the lack of emissions generated by extracting and utilizing the oil, governments everywhere should contribute to the effort to keep it underground. The first phase of the international plan was based on a December 31, 2011 deadline to raise USD 100 million. While the UN-administered trust fund itself currently does not contain that amount, when paired with public commitments, that goal actually has been surpassed. These commitments have proved satisfactory enough for Quito to keep the drilling equipment out of the preserve, at least for now. Italy carried out the largest commitment in its forgiveness of USD 51 million of Ecuador’s debt, setting a precedent that many are speculating will be followed by other countries that up to now have remained undecided about contributing to the trust fund. This action incidentally has given President Correa an opportunity to concede implicitly (further softening his 2008 statements) that his country’s foreign debts are not “illegitimate.” However, the strategy is unlikely to gain a firm foothold for a number of reasons, particularly as finances on the international scale are subject to the scrutiny of the large credit rating agencies. In these difficult economic times, most governments cannot afford to do anything that could remotely put their credit ratings at risk. Another reason why debt forgiveness contributions to the trust fund are unlikely to continue relates to the priorities of some of the major creditor countries. Ecuador’s total foreign debt currently totals nearly USD 16 billion, with China as the lead lender. 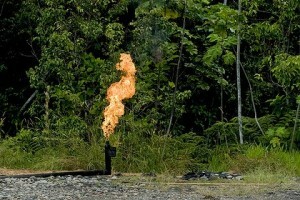 The loans have come about largely in exchange for Beijing’s growing role in the extraction of Ecuadorian petroleum. Punctuating the circumstances of this relationship, China’s Sinopec (along with Chile’s Enap and Brazil’s Petrobras) already has established a memorandum of understanding with Ecuador’s national petroleum company, Petroecuador, to develop the Yasuni-ITT field. Therefore, China would appear to have little to gain by contributing to the trust fund in any manner. It is fair to argue that the financial burden resulting from not exploiting natural resources should be shared by all who benefit from that decision. However, given the predominating international economic model, not to mention the current global recession, there must be, unfortunately, an alternative quantifiable benefit available which will be sufficient to assuage the doubts of credit agencies and constituents. If investments in the trust fund could be integrated with the UN’s burgeoning carbon credit programs, a concrete step will have taken place, advancing the Yasuni preservation project. In any case, the trust fund plan must be merged with larger-scale ongoing climate stabilization efforts if there is to be any chance for financial support to be sustained over the course of future decades. The Yasuni National Park is considered to be the most ecologically diverse spot on the planet, situated in a modern yet developing country racked with debt, poverty, and a history of political instability and foreign profiteering. That the heart of the preserve has remained pristine as long as it has is no small success, and its story may not have to end in tragedy. Solutions to save Yasuni exist, but for the moment, rhetoric and small symbolic contributions may be distracting policymakers from the hard practical options that could turn the clever notion of a trust fund into a revolutionary strategy that could be duplicated in other delicate and embattled ecosystems throughout the world. To read more about Ecuador click here.